Tom Polo, 30, from Smithfield, NSW, has won the 2015 Brett Whiteley Travelling Art Scholarship. 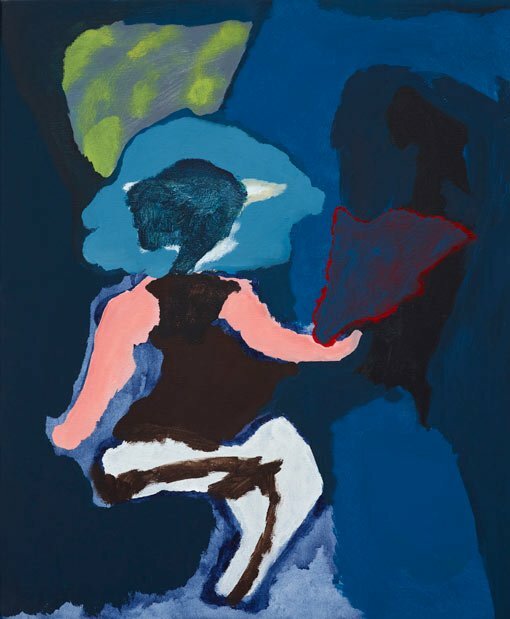 A painting, All she needs , from Polo’s winning body of work is on display at the Brett Whiteley Studio alongside works by finalists Jordan Richardson (highly commended), Clara Adolphs, Sally Anderson, Natasha Bieniek, Annalisa Ferraris and Matilda Julian. Begun in 1999, this scholarship for young Australian painters is now in its 17th year. This year’s judges were 2014 Archibald Prize winner Fiona Lowry and Head of Australian Art at the Art Gallery of NSW, Wayne Tunnicliffe. They selected this year’s winner from seven finalists, shortlisted from 80 entries. Polo has won $30,000 and a three-month residency at the Cité Internationale des Arts in Paris, which is administered by the Art Gallery of NSW.